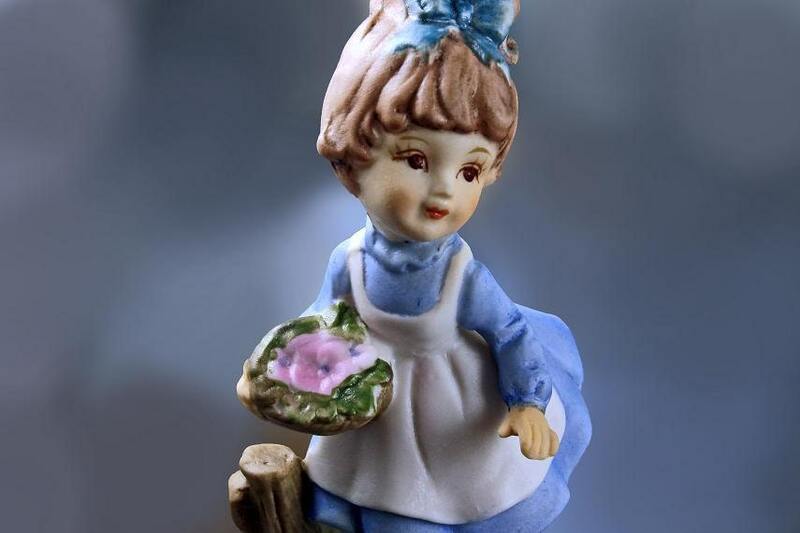 An adorable figurine of a girl carrying a basket of flowers. 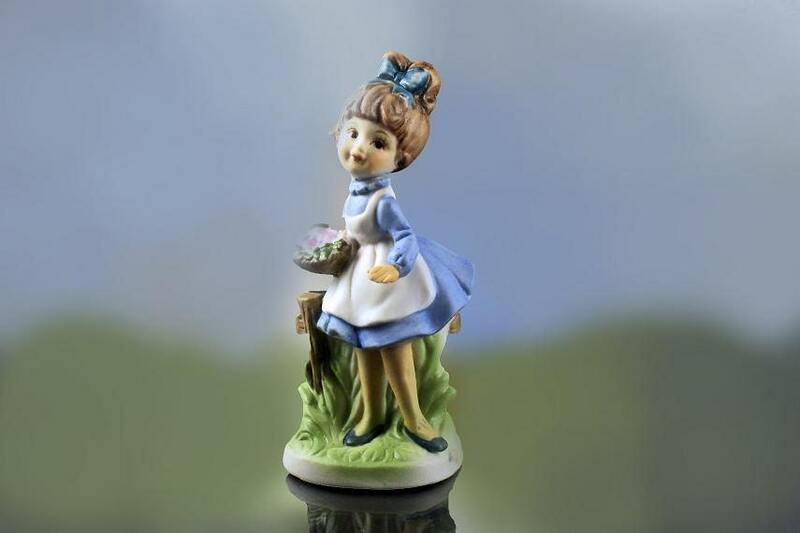 She wears a blue dress and a white apron. 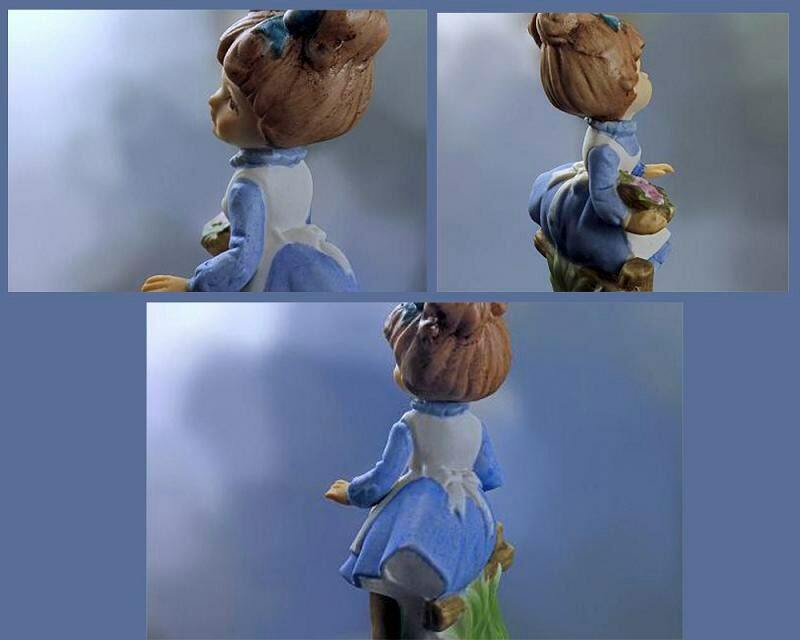 Her hair is brown and has a big blue bow. 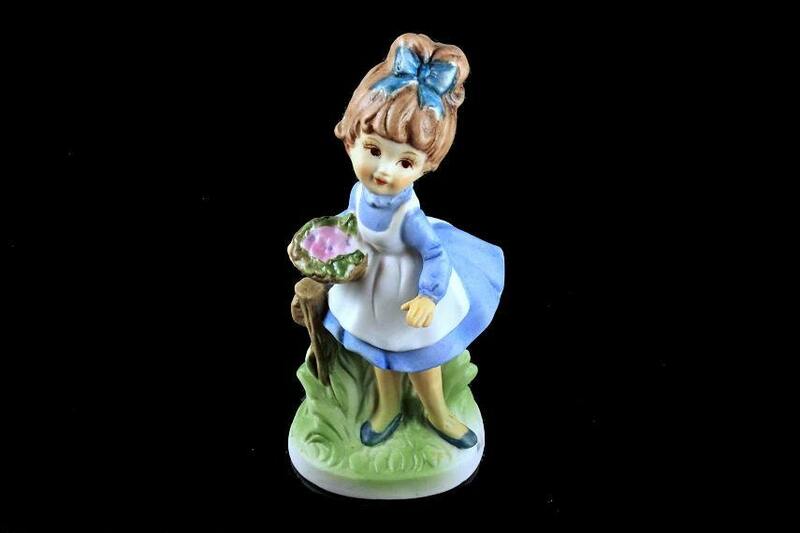 Just a lovely small statuette to bring the spirit of Spring into your home. 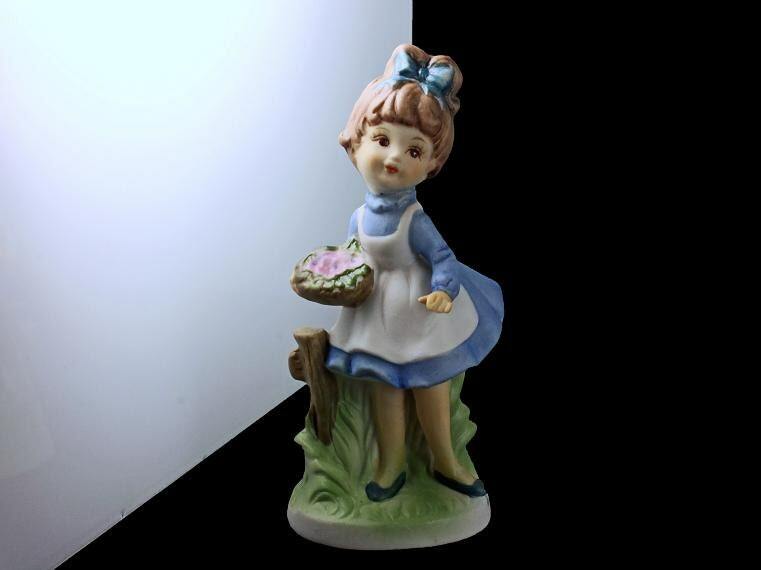 This vintage figurine is in excellent shape. There are no cracks or chips.